According to The Trucker’s Report, the largest operating expense for a commercial truck is diesel fuel (driver salary is second). In the typical personal automobile, a driver averages using 500 gallons of fuel in on year. In comparison, a typical commercial truck uses 20,500 gallons of fuel annually. To convert that into dollars, a commercial truck can consume more than $70,000 of diesel fuel per year. Because fuel continues to be one of a motor carrier’s largest expenses, owners are always looking for a way to incorporate savings into their overall plan. If an operator can save even a half a cent per gallon, the total savings can equal thousands of dollars. While fleet managers have relied on everything from on-board technology to fuel optimization to driver retraining to manage the overall cost of fuel, there are other options that are financially based and require no debt. Freight bill factoring (transportation factoring) simply involves selling your unpaid freight invoices to a third party company (the factor) for slightly less than you would have received if you would have used the common bill-and-wait-and-wait-and-wait method. This will enable much quicker payment to your company so that you can keep the cash flow moving to fund your day-to-day operations. Fax or e-mail the contracted details of the load and the information regarding your customer, load, and rate to your factoring partner. The factor will approve the customer for load factoring. Your customer may only have to be approved initially as the approval may carry over to future contracts and loads. Execute the transportation of the load. When the load has been delivered, fax, e-mail, or mail the Bills of Lading and other load-related paperwork to your factoring partner. Usually within 24 hours, the factoring company will advance you a direct deposit for the amount of the approved charges (which could hover between 60-90% of the billed invoice). Once your customer has paid the factoring partner, you will receive the balance minus fees. 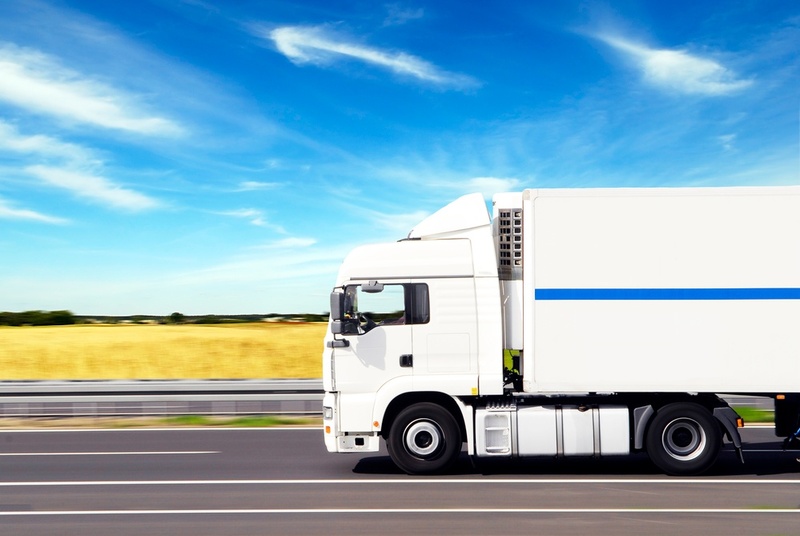 What Will Freight Bill Factoring Cost Me? There are fees for freight bill factoring, but they are much more manageable that the interest rates on a credit card or the terms and penalties of a bank loan. The fees can vary, but they usually fall somewhere between 1.5% and 0.5% of the line haul revenue. Ask your freight bill factoring partner about other fees, charges, and expenses that may apply. It should also be noted as an important point that, unlike credit cards and bank loans, factoring is not debt. What percentage of the freight bill do you advance? Will there be fees for additional services? And what additional services can you provide? Is there a different percentage advance if I factor all loads to a specific customer? Do you require that I bill all of my loads or can I factor on a load-by-load basis? Do you provide either recourse or non-recourse-based freight factoring services? How long have you been in freight factoring? What are your biggest successes? How many companies do you factor that are our size? If I Factor, Am I Locked in to a Permanent Agreement? In most cases, no, absolutely not. While the fees and services vary based upon factoring company, one common similarity tends to be that factoring companies understand that it is not a one-size-fits-all business. Factoring is tailor-made to fit your own personal business. You may usually factor as little or as many bills as you would like, when you would like, and how often you would like. However, there are usually financial advantages (i.e. lower fees) for factoring in volume, and it may very well benefit your company to do so. Factoring was created for the small to medium-sized entrepreneur who was having a difficult time keeping the cash flow fluid. Factoring provides you with almost instant cash flow for jobs that have been completed. It keeps the wheels turning and provides you with financial stability while waiting for your slow paying customers to fulfill their end of the contract. If you want fright bills paid directly to your company, a company’s bank account, or your own fuel card account (or multiple accounts), then a freight bill factoring company can work for you to do so. If your success is paramount on weathering tough economic environments with a fluid cash flow stream that injects your business with the power to make choices, freight bill factoring may be for you.